ChangeCamp is coming to Windsor-Essex tomorrow, and there’s still time for you to be part of it! What is ChangeCamp, you ask? 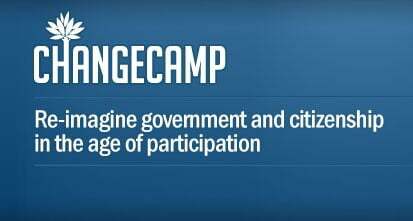 Colloquially known as an “un-conference“, ChangeCamp is a face-to-face gathering of citizens interested in exchanging ideas and plans for their urban political landscape. Still lost? Watch this video! ChangeCamp conferences have been held in many cities across Canada over the past two years. From Edmonton, to Vancouver, Toronto, to Halifax, citizens have attended and discussed their approaches to influencing change in their areas. Windsor-Essex ChangeCamp is billed as a way to “re-imagine Windsor-Essex as a stronger and more vibrant community”. To find out more, visit the WE ChangeCamp website, or check out the day’s schedule here. Interested in seeing who is attending? Here is the list of registered participants. ChangeCamp Windsor-Essex takes place tomorrow Saturday, May 8th 2010 between 9am and 4:30pm at the Fred Israel Auditorium, Central Branch of the Windsor Public Library.